In 1900 the American League was still considered a minor league. In 1901 team was renamed the Cleveland Bluebirds when the American League broke with the National Agreement and declared itself a competing Major League. The Cleveland franchise was among its eight charter members. Blues – In 1901 team was renamed the Cleveland Bluebirds when the American League broke with the National Agreement and declared itself a competing Major League. The Cleveland franchise was among its eight charter members. 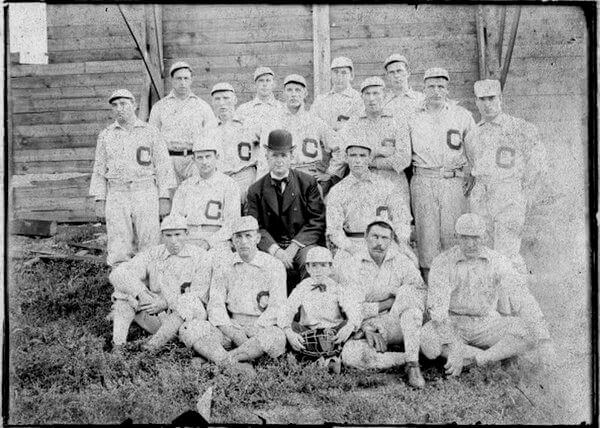 Writers frequently shortened it to Cleveland Blues due to the players’ all-blue uniforms, but the players didn’t like this unofficial name either. Who is the greatest Cleveland Blues? This was a strange time for the Cleveland Blues. They went through 4 name changes until finally settling with the current name of the team, the Indians in 1915.